My relationship with the sea has been a varied one. I was 8 when I first saw it in Mar del Plata in Argentina. I was taken there by my mother and grandmother. I had the whooping cough and at the lunch or dinner in our hotel’s dining room my mother would say, “No tosas.” This made it worse and I would cough. One early dinner is etched in my memory. My grandmother who was an artist and even then appreciated my opinion as she thought I was an artist, too asked me about her new dangling earrings. I told her, “Parecen orejas de burro.” She immediately got up, grabbed my hand and took me to the beach. She removed her earrings and threw them into the water. Who would have known that one day I would be a sailor in the Argentine Navy? I was placed on an ocean going tugboat to Ushuaia. I was seasick all the way. I was returned in an ancient C-47 with flapping wings. I was airsick. I was given a desk job and never sailed the sea while a sailor. 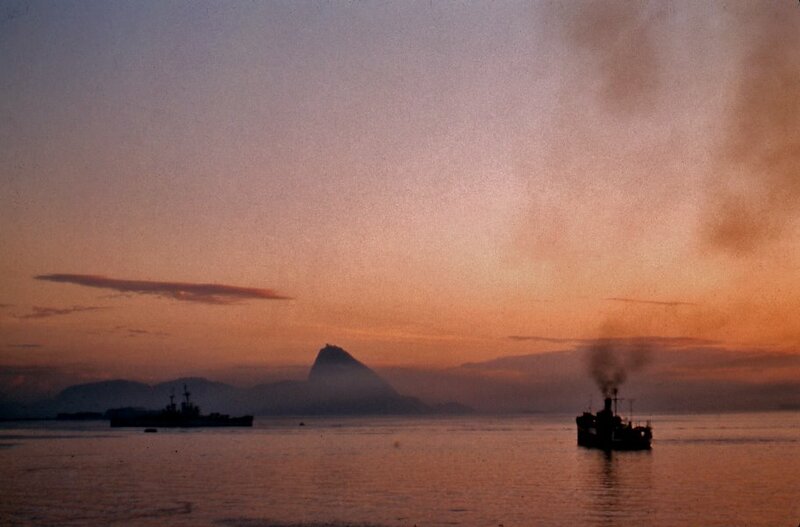 In 1966 I returned to Mexico in an Argentine Merchant Marineship as the onl passenger. I was the only passenger. I took photographs of every sunset we had. That cured me forever. I only look at sunsets now. In Veracruz I often went to the lovely Mocambo Beach with my mother and then by 1968 with my new wife Rosemary. Our first daughter saw the Gulf of Mexico as a very little baby. Of late I have been reading and re-reading Alfonsina Storni’s lovely poem about the sea. It seems she ended her life by walking into the sea in Mar del Plata. These photographs that I took of Kathryn Petersen in West Vancouver bring some of that magic and also a fear I have also had for the ocean.